Ver Ploeg and Lumpkin is a professional association of lawyers dedicated to representing individuals and small-to-large corporations in their disputes with insurance companies. They take the insurance companies to task who have either failed to pay valid payments to their policy holders or denied them defense in lawsuits. The firm of Ver Ploeg and Lumpkin pursues the insurance companies to trial and has a formidable reputation in this endeavor. Brenton N. Ver Ploeg, an attorney with more than twenty years of experience in insurance litigation, founded the firm in 1995 with the goal of serving only the complex needs of policyholders. He was joined in 1999 by R. Hugh Lumpkin who brought his own substantial experience of insurance law to the firm and propelled it further. Now, the firm of Ver Ploeg and Lumpkin is large with more than twenty lawyers and an efficient administrative and paralegal staff working diligently to protect the legal rights of policyholders. The prestigious firm of Ver Ploeg and Lumpkin works tirelessly from offices in Miami and Orlando to represent the legal rights of the clients in federal and state courts. The attorneys at the firm are known for their courteous and professional dealings with not just their clients but also their adversaries as they favor a rational and through representation of facts instead of unruly display of hostility. Irrespective of the size of the case, it is handled with diligence, meticulousness, and sensitivity. The firm is well-established with a high success rate and most of its clients are referrals from previous clients who were satisfied by the prompt and comprehensive attitude and the exemplary results of the Ver Ploeg and Lumpkin law firm. People facing insurance policy issues can resolve their problems in a timely manner by contacting the firm by email or phone and arranging a convenient meeting. Q:Does Ver Ploeg & Lumpkin law firm provide pro bono services or take part in community development? A:Ver Ploeg & Lumpkin Law firm has helped many people in need of legal help without charging them. Their free cost services and pro bono work is a main feature of the firm's culture. Ver Ploeg & Lumpkin is currently involved in many community development activities. It has helped raised funds for many humanitarian causes. Attorneys at Ver Ploeg & Lumpkin are voluntary members of Miami's homeless shelters, youth centers, and public educational institutions. Q:Ver Ploeg And Lumpkin law firm is located in which cities?  A:Ver Ploeg and Lumpkin is a popular law firm in Florida. It has grown to become one of the most reputed law firms in the state. Ver Ploeg and Lumpkin law firms are situated in two cities; one branch is located in Miami Florida whereas the other branch is located in Orlando Florida. It has a wide client base in nearby cities. These branches help clients in legal disputes in diverse areas. Q:Ver Ploeg & Lumpkin P.A. provides legal services in which main law practice areas? A:Ver Ploeg & Lumpkin P.A. has focused its practice mainly in the area of insurance. It deals with all kinds of insurance related disputes. Disputes may be related to underpayment of claims, health insurance claims, life insurance claims, errors and omissions in insurance claims, liability claims, excess judgments, occurrence coverage, commercial liability claims, construction defect claims, failure to defend, homeowners insurance claims, and hurricane insurance claims.